As family focused business owners, the Sandals Resort founders understand their responsibility to their extended family, the people of the Caribbean. As a result, they developed the Sandals Foundation as an extension of the philanthropic work that Sandals Resorts has undertaken since it’s inception. The Sandals Foundation is a non-profit organization that focuses on improving lives in the Caribbean. Since their start six years ago, the Sandals Foundation has had a mission to improve the lives of people in the Caribbean through investment in sustainable projects in Education, Environment and Community. Their motto is “Our Promise. Our Caribbean”. I had the privilege of visiting one of the schools they support for the grand opening of their new computer lab. In preparation for our visit, Sandals provided us each with a backpack which we were able to fill with school supplies to donate to the school. The children performed dances and skits for us, before we moved outside for the official ribbon cutting and opening of the computer lab. 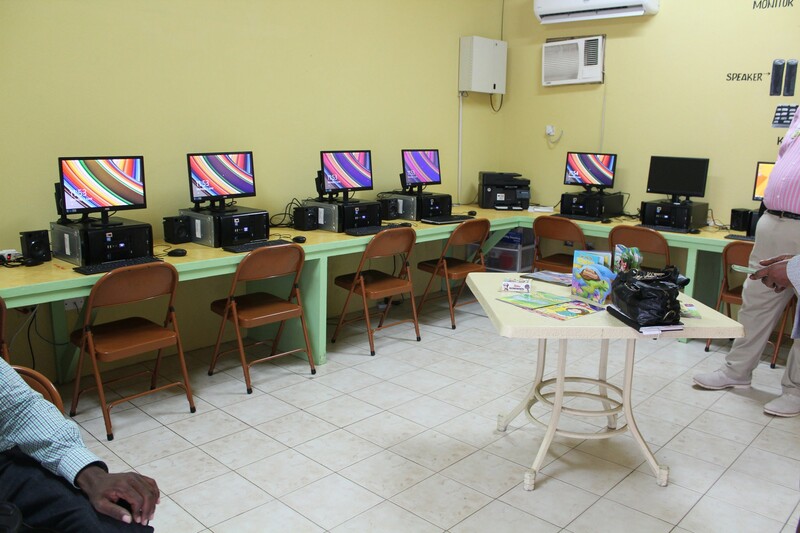 The children had not yet had a chance to use these computers, and they were excited to visit their new lab. Afterwards, the kids celebrated with ice cream cones and some play time in the school yard. It was a great opportunity to interact with some of the kids and to see what the yard is like. Unlike our schools, they had no playground equipment. Instead, they entertained themselves by skipping rocks in a puddle, chatting in groups or just grabbing a few minutes of quiet time. It was an eye opening experience. We over indulge in the Western culture and I’m grateful to have had the chance to donate to the school and see how the schools and the Sandals Foundation are working together to ensure kids are getting the education they need. All Sandals guests can participate in the Reading Road Trip on Thursdays. 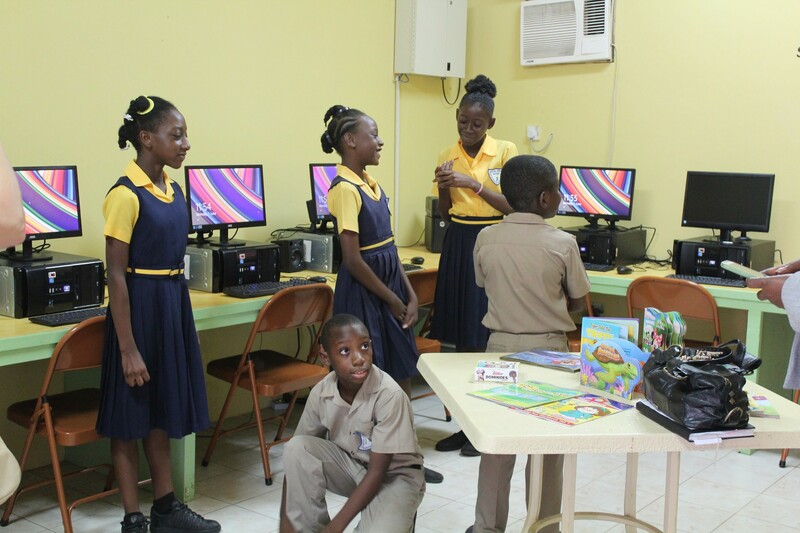 It is available through Island Routes Caribbean Adventures and allows guests of Sandals Resorts and Beaches Resorts to visit a Sandals Foundation-adopted school to lend literacy support. The tour allows visitors to spend time with children at the primary and early childhood schools, where they are guided by a structured reading and comprehension programme. The Reading Road Trip is available in Jamaica, the Bahamas, Antigua, Saint Lucia, the Turks and Caicos Islands and Grenada. The Sandals Foundation offers other programs that promote education, including early childhood development, school upgrades and Hands Across The Sea. 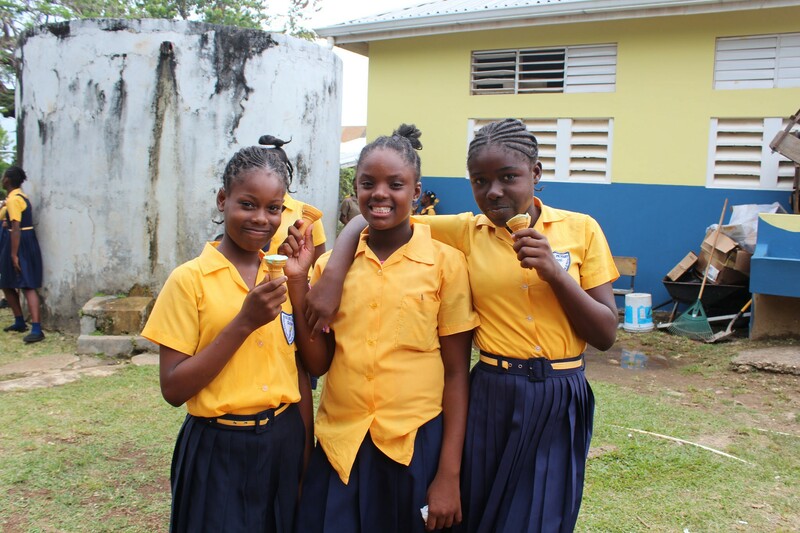 A strong focus on community is another aspect of the Sandals Foundation. They promote healthcare initiatives and programs that develop youth empowerment and recreation. Breakfast programs and farming initiatives are also important in the community partnerships. One of the main tourism draws to the Caribbean is obviously the ocean and the landscapes. The Sandals Foundation plays an important role in environmental protection and sustainability, which will ensure that we can all enjoy the Caribbean for years to come. The opportunity to relax in an all-inclusive resort is one obviously enjoy. The chance to stay at an all-inclusive resort that is actively working to improve the lives of the people around them is priceless. I look forward to my visit to the Beaches Resort in Turks & Caicos where I plan to take my family along on a Reading Road Trip. Learn more about the Sandals Foundation here: http://www.sandalsfoundation.org/. Yes one more reason for me to keep dreaming of a Sandals vacation. I did not realize Sandals did a charity. that is great. What an amazing cause,beautiful children !